If you want to know more about the traveling in Bali, today you are here to actually know about the accommodation at the Seminyak area. And I will show you a typical luxury villas and where you can reserves it. The villa I am going to recommends you has the quiet long private pool. Maybe around 8-10 meters and as I think, it should enough for you to jump in and swim around. Besides that, you can’t just sit around but also enjoy sunbathing if you want. And those can be the favourite parts when you are in. That is the private access pool so you don’t need to worry anything. This is one among other amenities you can get if you will stay at the close to beach Seminyak villas. Even though it is just a rental villa and not a resort or even the beachfront accommodation, you can actually have one common pleasure which is to boost the way you will enjoy the holidays. You can actually find also a different concept which is basically the private condo right before the shoreline and included with a private sport, but I think that will really a huge money to spend. Most of the villas at Seminyak kind of concept is more dedicated for those who are traveling alone or they who are coming with some of the family members or in a group. It is because you can have from one bedroom up to three bedrooms. 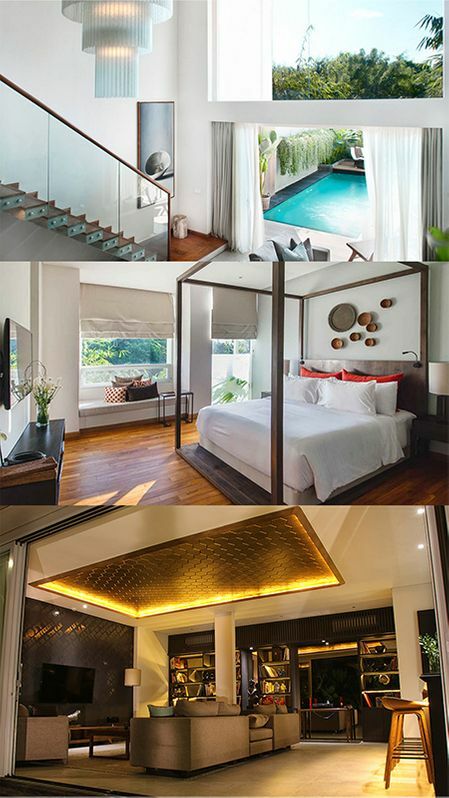 And even more than that since there has been an interconnected villas where possible to make up to 13 bedrooms at Seminyak. Take your time and think about this. Be it actually in the morning and it’s time to have your breakfast. You are free to choose where you will eat all the foods and drink the juices. What if you are seeing yourself besides the pool and deal with all the foods? Can’t it be something special for you? You can also swimming around while eat the fruits piece by piece that you have ordered. And by the way, the Seminyak villas complex I am talking about called as the Hu’u Villas Bali and it has its own restaurant where you can order your foods and drinks and will be brought to the villa you have rented. It won’t only the ultimate stay you can get, but also the life at its best you can experience! The surroundings are quiet, plants are almost every corners and the entrance is also interesting since it hasn’t only the plants by its side but somehow can be considered as your own little private secret path to the hidden gem palace. Ok, it may sounds too much for you, but how else I can describes it. That’s what it seems to me. I am inviting you in to join with me in this best Seminyak villas that I have found so far. The area is also one top destination in Bali, so you will really stay at where many people are going to. At the end of the day, you can find yourself enjoy the magical sunset on the comfort bean bag at the Seminyak beach. Then, get your romantic dinner at the Sea Vu Play restaurant. After that, you can give yourself a bit tour in this city or go to The Den’s night club before have your own comfort sleep at the villa. How can’t this be a life at its best if you can experience such things. They are for real and you don’t have to imagine a lot about them. The only things you have to do are just coming to Bali and reserves the villas at Seminyak before the others left you behind.